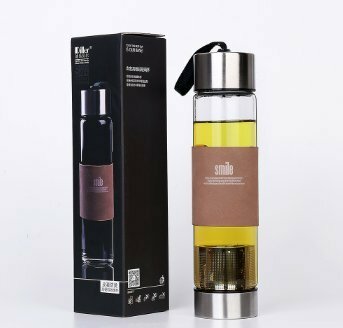 Features 1) Leakproof Design of the Bottle lid and Bottom Tea or Coffee Infuser 2) 2.3'' diameter*9.6' ' high; capacity: 16oz. 3) Material heat resistant borosilicate glass and stainless steel lid with silicone ring. 4) Built-in hand strap for easy carrying and insulated circle makes it hold easily and special. 5)Perfect tea or coffee-strainer is convenient to filter the loose leaves and other flower tea saving a lot of time anywhere and whenever. 6)On the go for travel or outdoor sports hiking, climbing, go fishing and so on, simple but fashion design matches your modern and understated life well. View More In Tea Filters. If you have any questions about this product by Nerdy Kid, contact us by completing and submitting the form below. If you are looking for a specif part number, please include it with your message.